How to contact ExpertOption.com support? One of the most convenient ways to contact ExpertOption broker is using online chat with 24/7 support that allows you resolve any issue most fast as possible. The main advantage of the chat is how fast ExpertOption gives you feedback, it takes for about 2 minutes to get answered. 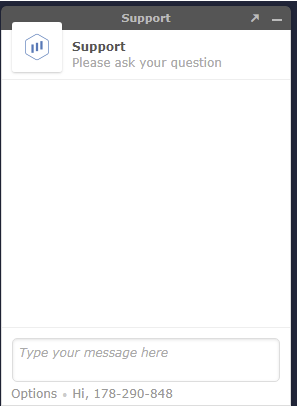 You cannot attach files to your message in Online chat. Also you can’t send your private information. Another way to contact support by e-mail. So if you don’t need quick answer for your question just send an email to help@expertoption.com We strongly recommend to use your registration email. I mean email that you used for registration on ExpertOption. This way ExpertOption will be able to find your trading account by email that you used. 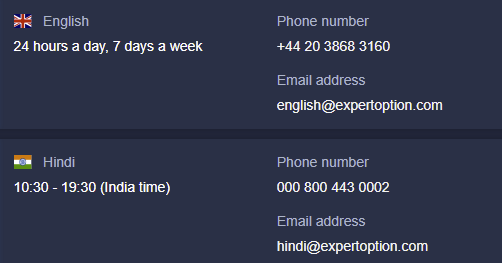 Another way to contact ExpertOption is phone number. 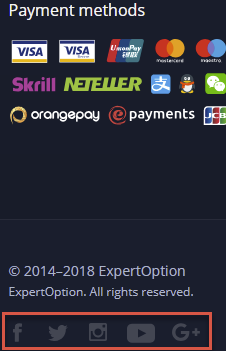 ExpertOption can assist traders from a lot of countries and with many languages. Just select any country that you need and call ExpertOption. All outcoming calls will be charged according to the tariffs of the city indicated in brackets. These will vary according to your telephone operator. 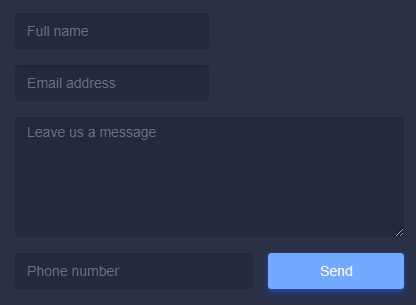 Another way to contact ExpertOption support is “contact form”. Here you will need to fill your full name and you e-mail address to receive answer back. Also you will need to fill the text message and your phone number. Here is the same situation as with the Online Chat you will not be able to attach files. 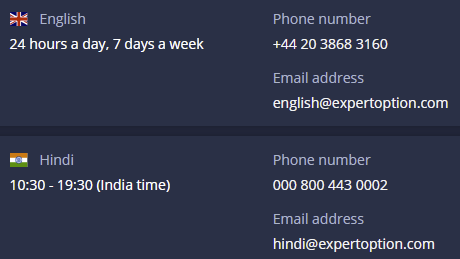 Which is the fastest way to contact Expert Option? The fastest response from ExpertOption you will get through the Phone Call and Online Chat. Also you can call to the ExpertOption support or write to the Online chat if you need your question to be answered as quickly as possible. How fast can i get response from ExpertOption support? You will get immediate response if you contact ExpertOption by phone. You will be answered in several minutes if you write via Online chat and it will take for about 24 hours to get answered by Email. In which language ExpertOption can answer? ExpertOption can answer your question in any language you will need. Translators will translate your question and give you an answer on the same language. 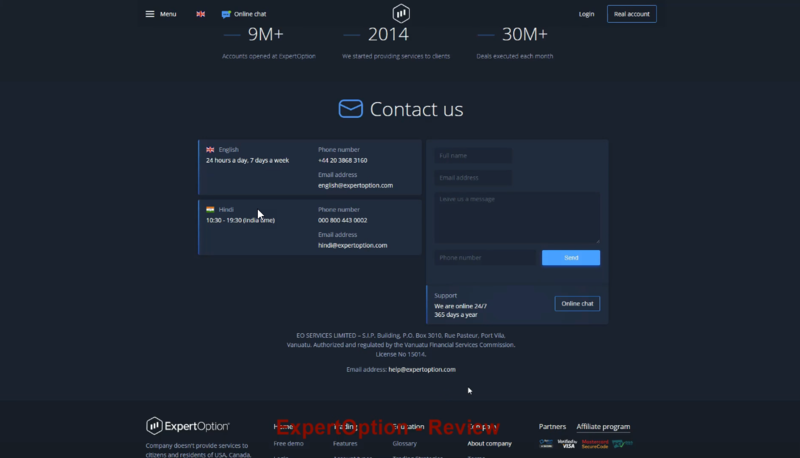 Contact ExpertOption by social networks.